Aled is a creative and bright young man who will be entering year 12 at Dalyellup College in Capel for 2018. His current selection of 5 ATAR subjects includes English which is having to undertake with SIDE (distance education). He is hoping that these subject choices will see him gain entry into a ‘Bachelor of Philosophy – Science (Psychology) with an enventual Ph.D in this field. Aled comes from a single parent family, adding to the family stress is the fact that his mother suffers from scoliosis and osteoporosis, which only allows her to work part-time. The courses Aled has chosen to undertake require a home based computer (his current computer is old and unfortunately can’t be repaired) and some access to online textbooks which he neither has or can afford to have due to his family financial circumstances. Earlier this year, Aled’s Mum fractured her spine due to her osteoporosis, which was a significant set back to both Aled’s mum and himself. With no way of getting household chorses done herself, the role of carer fell on Aled. Wanting to help, he got his moped licence so that he could shop and run errands, as well as get himself to school. Aled has a strong connection to his community. He counts one of his proudest achievements as his invitation to be a committee member of the South West Enviorment Centre. Aled is always wanting to learn and through this committee he is learning how to perform the roles as a treasurer and secretary. He is proud that his contributions are having an effect on how others see a young persons perpective on enviromental issues. 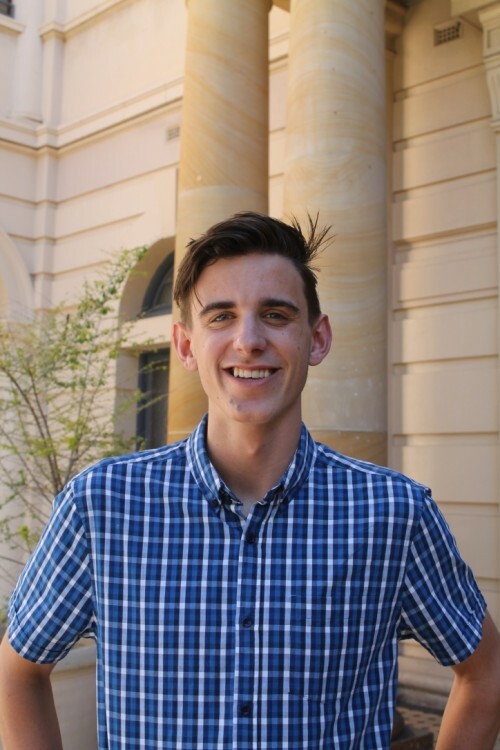 Aled is a young man who wants to achieve many things, he works hard at school and hopes this will translate into a strong ATAR result next year. Aled has been selected for the National Youth Science Forum which will see him attend a 12 day science workshop in Canberra in January 2018. This is an opportunity to extend his learning as well as mix with other likeminded individuals. Aled has a nextwork that also includes the Bunbury Rotary group, his school, his community and the South West Environment Centre. He feels this is why he would be best to advocate for the YAL and the scholarship program. He will also use his social media to help spread the word of what the YAL is all about.